If you're wondering what it would have been like for those 689,000 guinea pigs who had their emotions manipulated by that controversial Facebook News Feed experiment? Well now you can. Sort of. 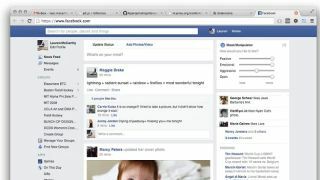 With more than a hint of sarcasm, one developer has built a FB Mood Manipulator plug-in for the Google Chrome web browser, allowing users to select which emotions they see reflected within status updates. Using a progressive slider, users choose to see more or less Positive, Emotional, Aggressive and Open posts, with the News Feed automatically updating to account for words that fit the parameters. Those four emotions were used by Facebook in its emotional contagion study, which found users posted more positively or negatively when exposed to similar emotions within their News Feeds. "Why should Zuckerberg get to decide how you feel? Take back control. Leverage Facebook's own research to manipulate your emotions on your terms," writes New York-based developer Lauren McCarthy. Of course, we took the Mood Manipulator for a quick spin. Requesting more positive emotions summoned happy posts containing words like; outstanding, phenomenal, rock, rule, proud, fun, sun, lovely, great and love. Now we feel all warm inside, although that could be the faulty air conditioning inside this Starbucks. Regardless, the Mood Manipulator seems like a viable way of getting rid of those Negative Nancys clogging up the News Feed on those days you need a little more sunshine in your life. Give it a spin and let us know your thoughts below.